Dazzle your guests and impress your loved ones with a beautifully decorated wedding venue. At Tailor Maid Events, our talented team of stylists offer a stunning variety of wedding and event decorations, including chair covers and sashes that match your theme. Embark on the exciting project of designing a wedding with assistance from our experts. Whether you are a lover of vintage, retro or classic themes, we will achieve your perfect look. 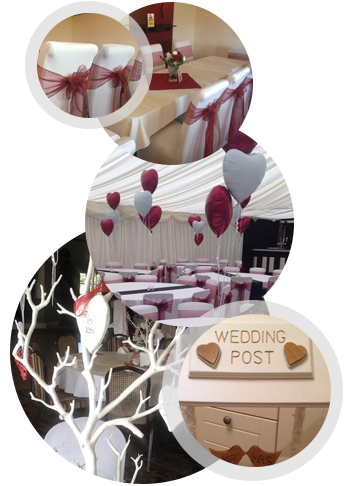 We match the decorations to your desired colour scheme, and display a range of mood boards and samples so that you may choose from a variety of themes and chair covers made of luxurious fabrics. Our detailed consultations are a great way to get inspired and share your ideas. To understand exactly what you need, we listen to your preferences and provide consultations at your home or desired venue. Together, we decide on a colour scheme, table covers, and centrepieces for your special day. Feel free to browse our Facebook page for ideas and inspiration. 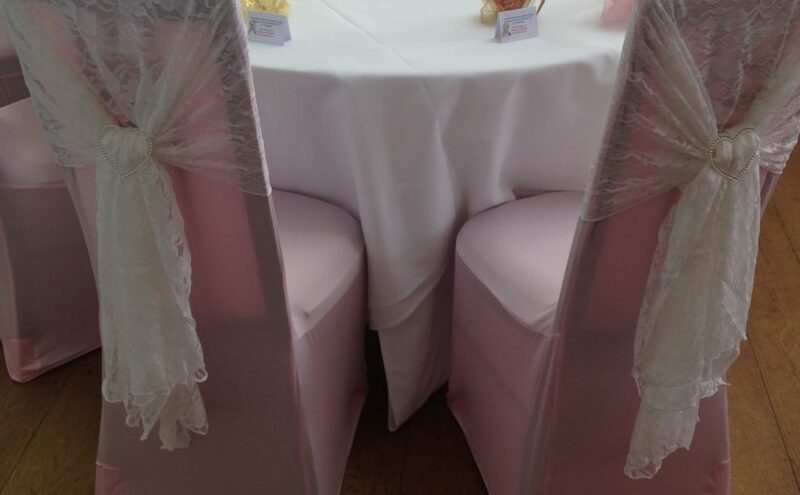 Our detailed mock-ups enable you to see how your theme will come together, we will work with you to tailor this to your exact requirements for a truly tailor maid event. Unlike other companies, we provide realistic creations that are more effective than simply viewing a picture. Our friendly staff always build a rapport with each client, and ensure we understand their ideas on a personal level. For your convenience, we will arrange an appointment that suits your schedule. Once we have agreed on a date, our staff confirm availability and inform their team. We then send you a booking form, our terms and conditions, and an invoice for a deposit. Although a small charge is incurred for locations beyond a 10-mile radius, we travel locally free of charge. Due to the bespoke nature of our service, costs may vary. We invite you to attend a spectacular wedding fair, which will be hosted at Burntwood Rugby Club, The Sportsway, Burntwood, WS7 3PH on the 1st October 2017. The event will begin at 11:00 a.m. and finish at 3:00 p.m. We will be showcasing our fabulous photo booth and venue decoration. The event is a fantastic opportunity to meet us face to face, discuss your vision and ideas with no obligations. Contact us to acquire more details about our stunning wedding decorations, including chair covers.